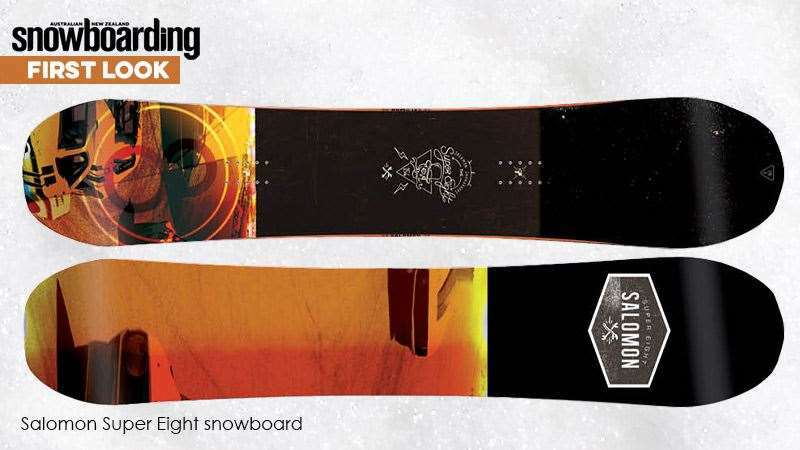 Inspired by team riders Wolle Nyvelt and Josh Dirksen, this board is designed to rip the whole mountain! In this week’s First Look we present to you the all-new Super 8 Snowboard from Salomon Snowboards. Inspired by team rider Wolle Nyvelt’s surfy style, paired up with Josh Dirksen’s edge control this board is designed to rip the whole mountain with power speed and control. The board is designed with Salomon’s Backseat Camber, putting the power and edge control under your back foot. This makes the board perfect for ripping deep pow days or getting aggressive on hard pack days too. Additionally the board features a new shape, the Rocket Science, which is a wider design for looser manoeuvrability, living up to the surf inspired style. The board is the epitome of Josh’s snowboarding; it’s designed for the rider with a background in freestyle, but who has evolved and is more interested in low impact riding, charging the mountain and throwing huge turns with style. Josh’s knowledge of board design is second to none and the result is a true rider driven design.